I’ve been wearing black, plastic frame glasses since before they were cool. Lately, I’d been noticing that the finish on my lenses was starting to wear, causing the view to be less crisp than desired. I needed a bit more clarity. So recently, I ordered a new pair of glasses. If you’ve ever been to the eye doctor, you’re probably familiar with this process. 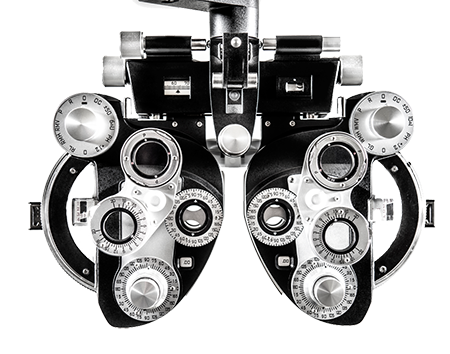 You sit behind a piece of equipment called a Phoropter that looks something like this. The Doctor shuffles through multiple options, and as they put the lenses in front of you, they ask something along the lines of, “Is lens 1 or 2 better?” Based on your answer, they adjust and ask you again. Then, you repeat this process a few times until the Doctor is confident that your vision is focused — that you have clarity in your sight. This process is a lot like how it works when you want to do something or start a project that makes an impact. You have to keep adjusting your focus until you find the combination that gives you the clarity you need to really make a difference. When you start something, you start with an overall goal. Whether the goal is to see the chart clearly at the doctor’s office, to provide a productive environment where kids can spend time after school and stay off the streets, or any other number of incredible things you can set out to do, the overall goal stays the same. There will always be multiple combinations and approaches to reaching that goal, but like with the Doctor showing you different lenses, you have to find the ones that work best for you. The line in this song is so true. The Doctor could prescribe you any number of combinations of lenses, but it won’t do you any good or produce any results for your vision if the focus isn’t right. The same is true with anything else you’re striving toward. Simply having an idea, throwing up a website and “launching,” isn’t going to be enough to really achieve your overall goal and make a difference. If you want to really make a difference, you have to be willing to try out a few different combinations before you will figure out what works. Technology has made it so easy to get started with countless visions you could have for your life, your business, your organization, etc. Technology has opened up the scope of who we can impact and where. If you want to start raising money to dig water wells in third-world countries, you can use technology to do that. If you want to teach people how to knit and make hats for the local homeless shelter, you can use technology to do that. The sky’s the limit. The problem is, there is so much technology available to us, it’s kind of like knowing you need glasses, but not having the right prescription to see clearly. 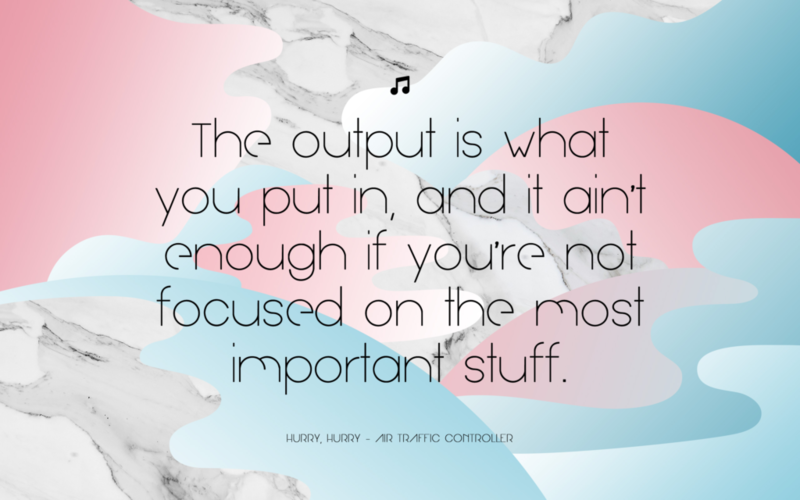 That’s why it’s about using the right technology the right way, or as the song says, focusing on the most important stuff. You might be sending emails. You might be collecting donations. You might be making videos. You might be creating content. There are any number of things you could be doing, and any number of ways to accomplish them. You know you need technology, but what is the right technology? How do you use that effectively? You don’t just know you need glasses, grab any pair and put whatever lenses you want in them. You go to the doctor, try out a few combinations, adjust until you figure out what works, and then, you have your prescription. The first combination of methods, tools and technology you use for your project might not be clear enough to make a difference for your vision. Adjust. Refine. Try again. At some point, the combination is going to stick, and you’re going to have the clarity and focus in your vision that will enable you to really make an impact. What technology have you tried that seems overwhelming, cumbersome, disconnected, or simply just not making a difference? Do you need help figuring out the right technology for your next project? I help value-driven folks do just that.